Rinse and drain jalapeno peppers. Slit lengthwise on one side; remove seeds and veins, leaving stem attached. (If you want them hot, leave the hot stuff inside!) Beat cream cheese until fluffy. Beat in grated cheddar cheese. Stuff each pepper with cheese mixture. 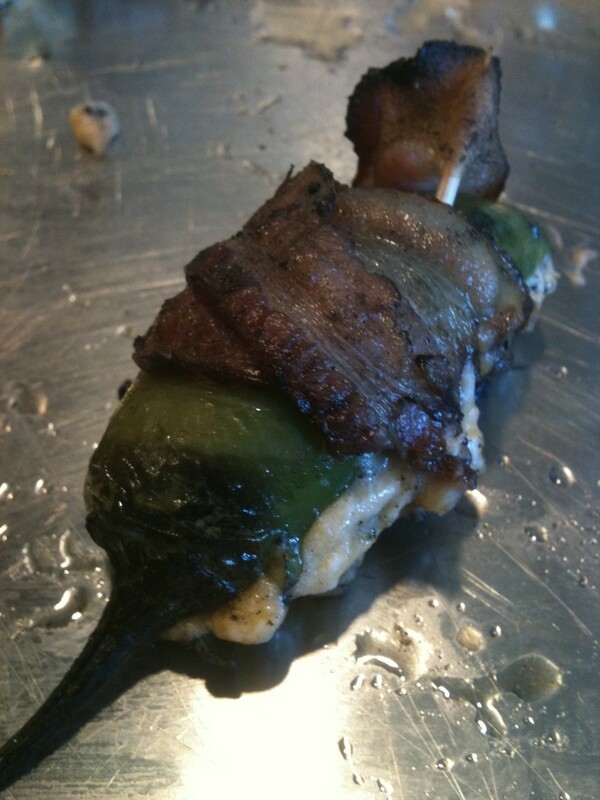 Wrap with a piece of bacon. Use a tooth pick to hold the bacon on and keep them closed. Grill until bacon is crisp and cheese is melted. We love ’em! If you’re not in a grilling mood, pop them in the oven. Bake in 450 degree oven until bacon is crisp about 10 minutes or until cheese melts. Makes 12. Tip: Use disposable gloves when cutting and removing seeds from the jalapeno peppers. 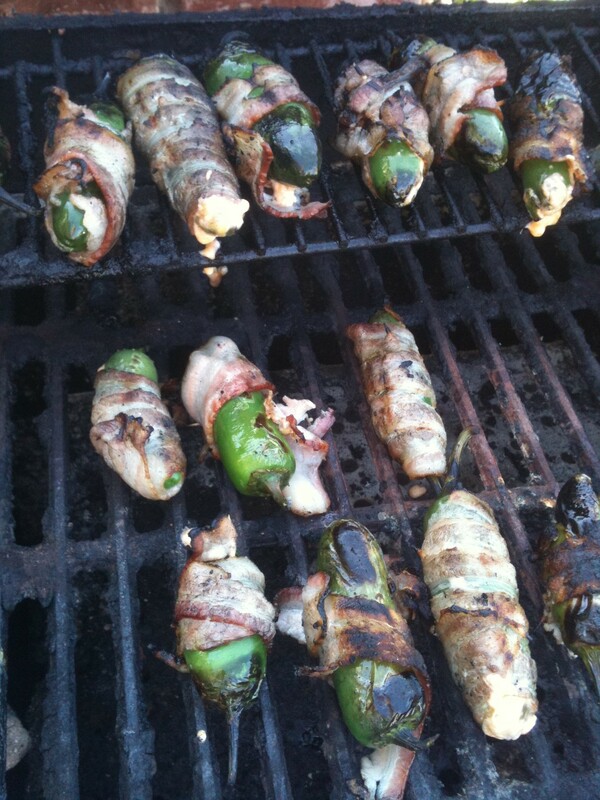 This entry was posted in Appetizers, Fan Favorites and tagged bacon, cheddar, jalapeno. Bookmark the permalink.